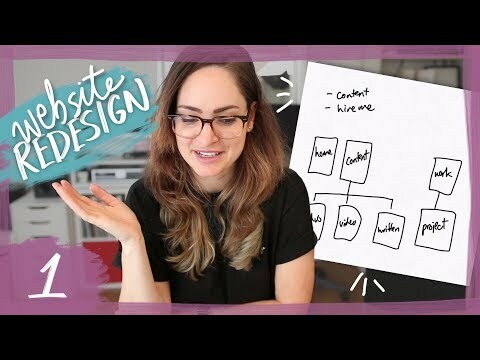 Home › CharliMarieTV › Designing a website - Episode 1: Planning & site map! File Name : Designing a website - Episode 1: Planning & site map! The very very first thing I do when approaching a new design project is plan (shocker!). For a website, that means sitting down and thinking through firstly what the goal is for the site and why visitors might be on it, and secondly what pages and templates will need to be designed in order to bring it to life. In this video you'll see me make a plan for my website, both for the full site map of my new blog and portfolio, and also for an "MVP" simple landing page I'll be starting with first. Hope you enjoy the video and are excited about the series!